I love to sew, mainly quilts and bags. I am 63, married to Fred and have one son, Matthew who is 25. I enjoy embroidery and applique and prefer to machine piece and quilt my projects. I love my vintage Singer sewing machines especially my Featherweight 222K. I've recently started collecting Miniature Sewing Machines, three Essex , one Singer 20. one Singer 40 and a Vulcan Countess. 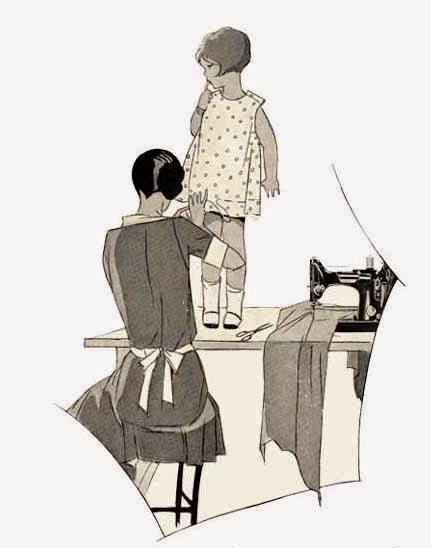 My love of sewing I believe comes from my Grandmother - I still have the drawings she made for me to embroider on tea towels many many years ago! Lots of room for everything! Love these little trays - the lid clips shut to hold everything inside! It's great to have a place for everything! We recently had house guests...... look what they bought me! they do know me well ... a Singer Handychest! This one is from the 1960's so it goes beautifully with my Singer Featherweight 222K from 1957. The chest had everything in it from the 1960's, including the full box of cotton reels still wrapped in their cellophane! I've put all of the stuff away and I'm now using the Handychest for all the things that go with my Featherweight. What a loveley present they have brought you, you are now super organised!! Have fun! I include lots of "links" in my POSTS. If you run your cursor over the text, the link will pop up with the text underlined. If you click on a photo, you will be able to scroll through all the photos in the post . This does not work on Posts in mobile blogger unfortunately. Those "labels" at the bottom of the Post will link you to all posts containing that subject.